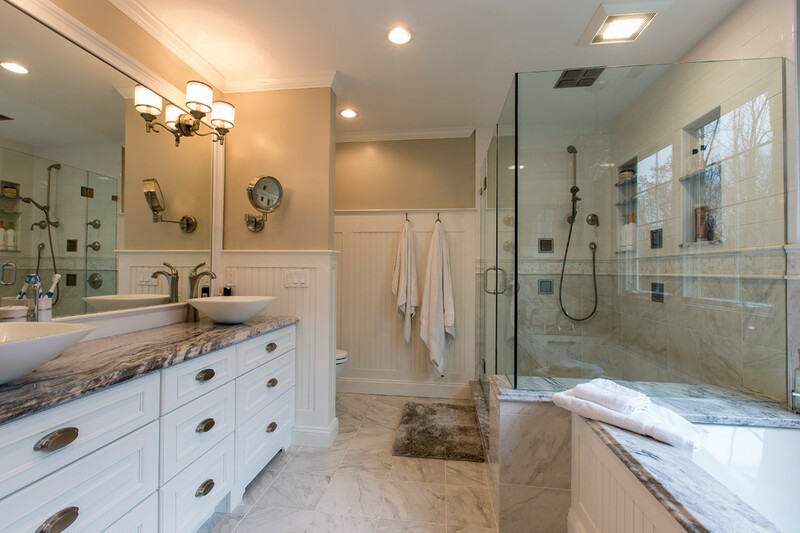 Attention to detail turned this bland master bathroom into an elegant retreat. From the mosaic marble accents, to the board and baton beadboard paneling, to the decorative arches on the cabinetry toe kick – no area of this space is ignored or cast aside. 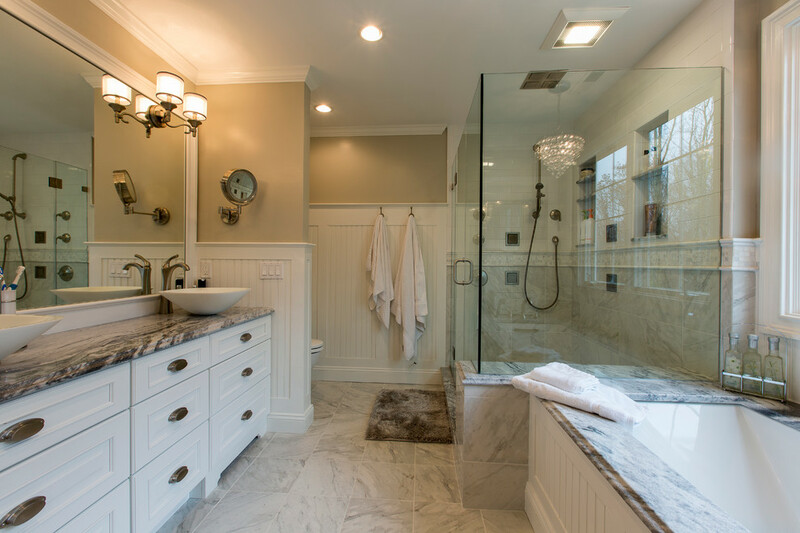 Designed by Rachel Peterson of Simply Baths, Inc., the bathroom is delicate and poised.